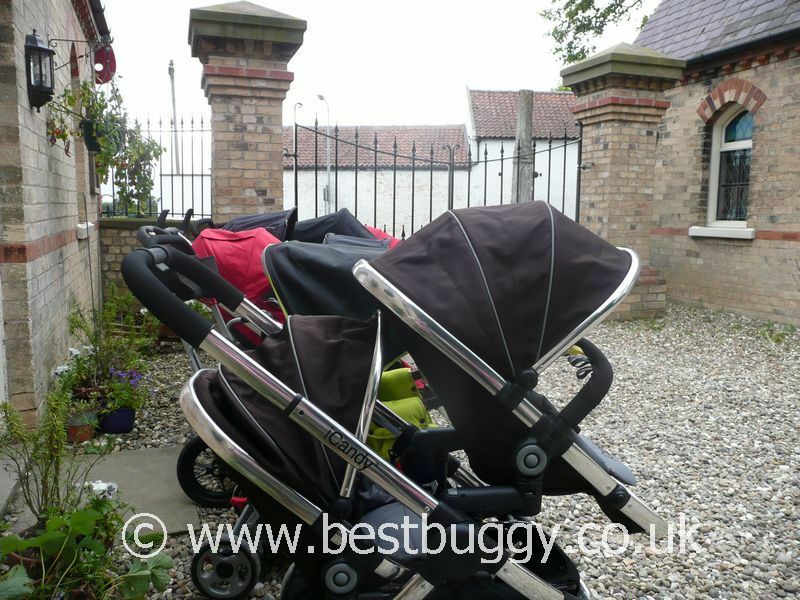 A set of photos really to give some size perspective of these tandems. 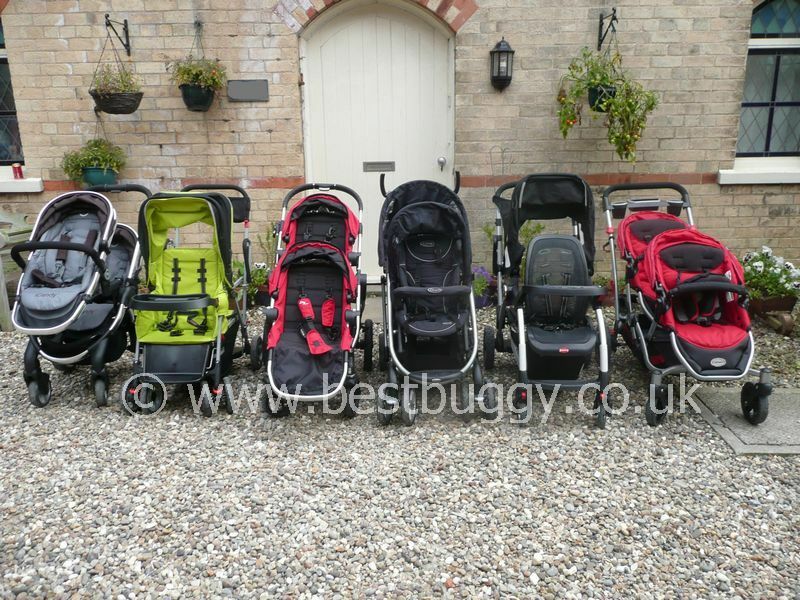 The iCandy Peach Blossom 2012, the Joovy Caboose Ultralight, the Baby Jogger City Select, the Graco Quattro Tour Duo, the Joovy Ergo Caboose and the Kolcraft Contours. 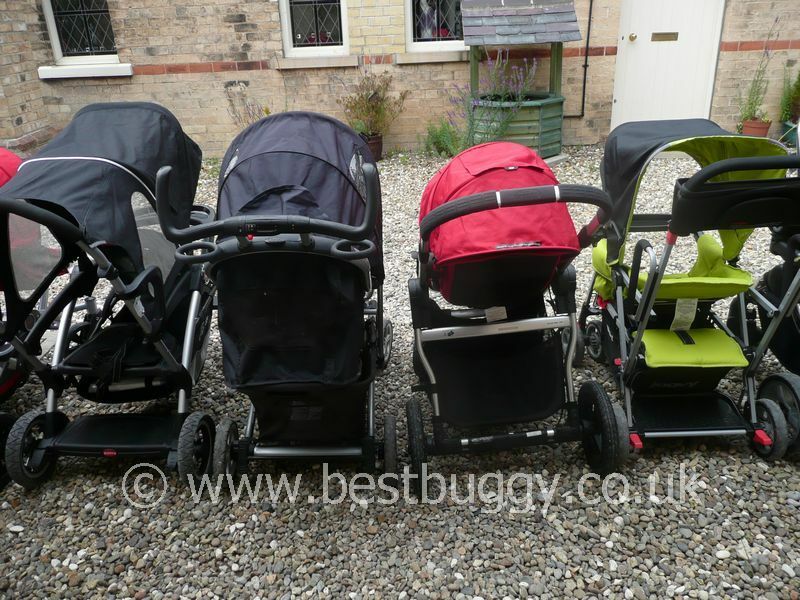 There are three sets like this to date, so hopefully they should give an idea of how tall and long tandems are in relation to others. 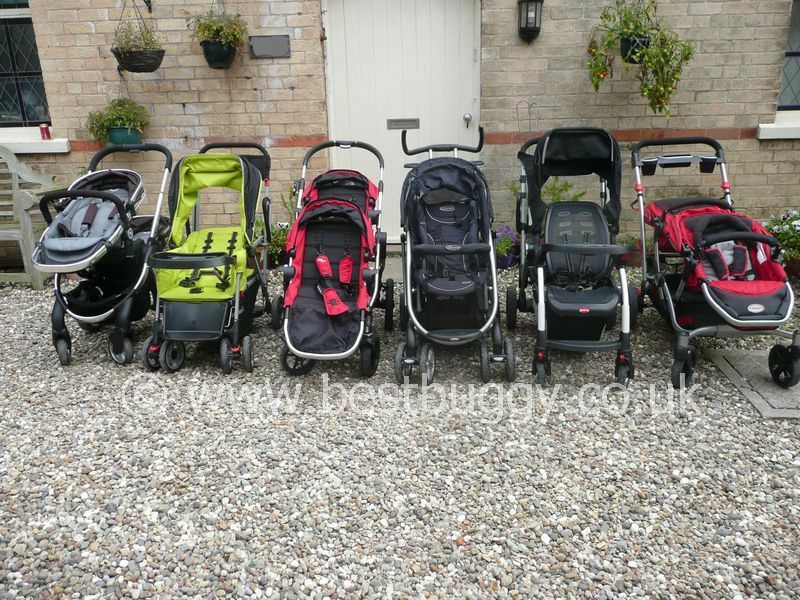 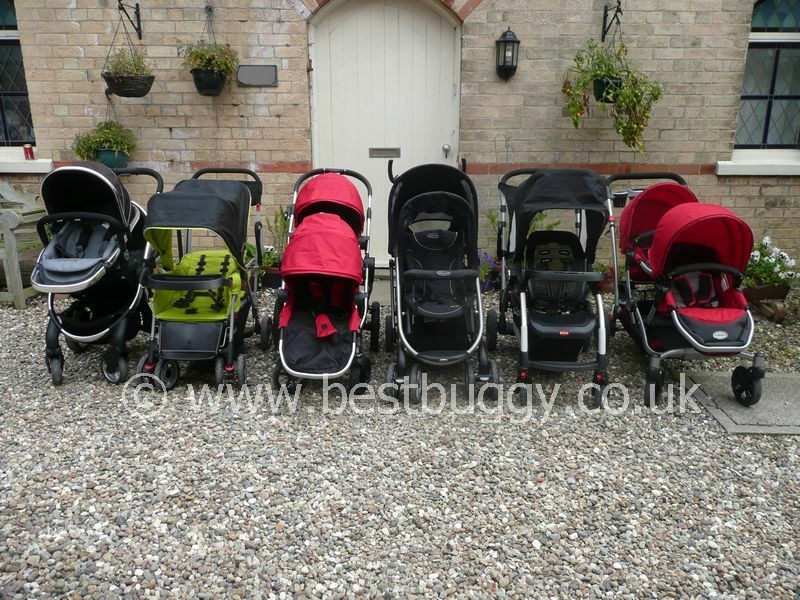 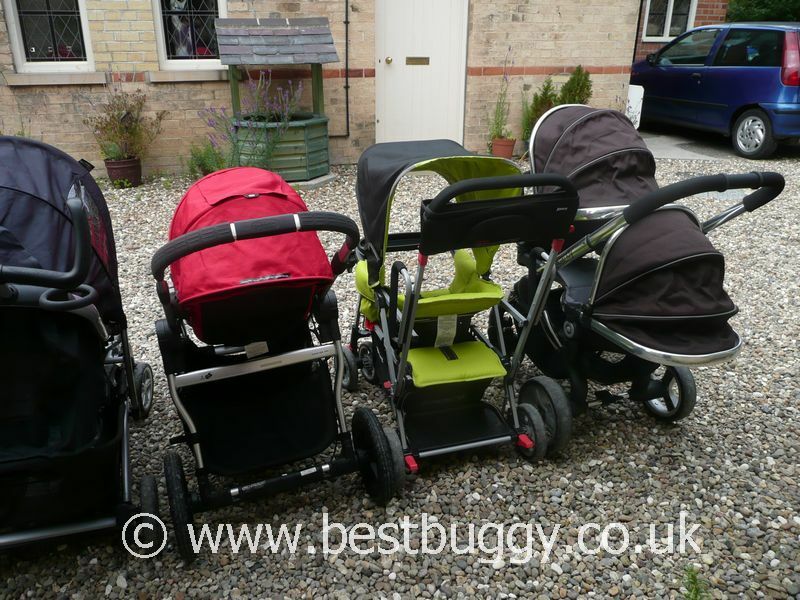 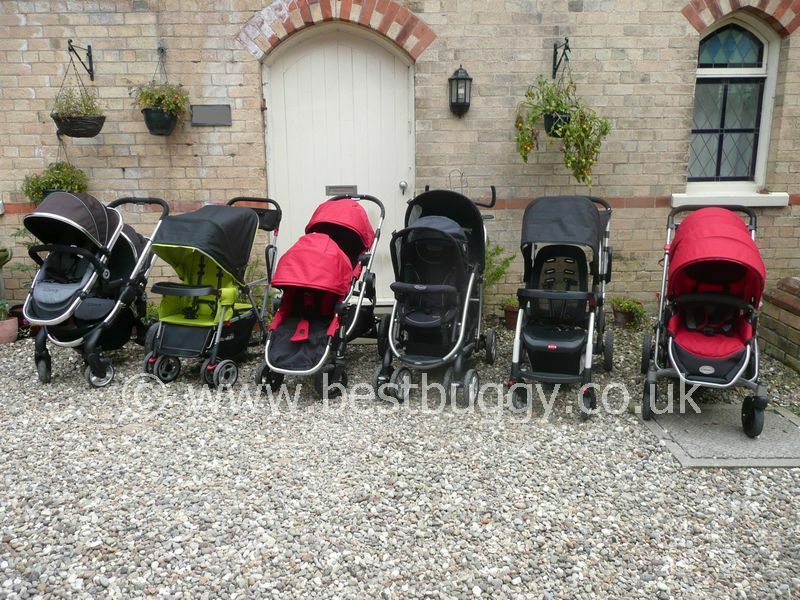 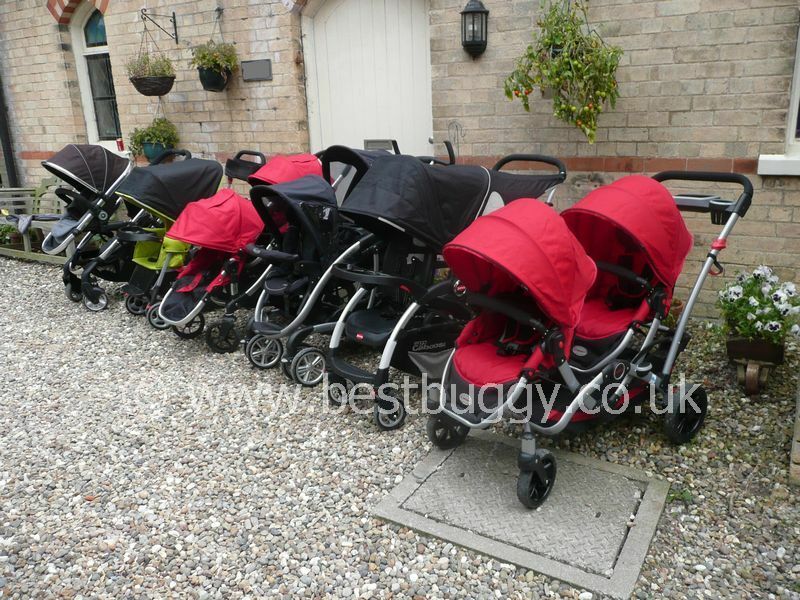 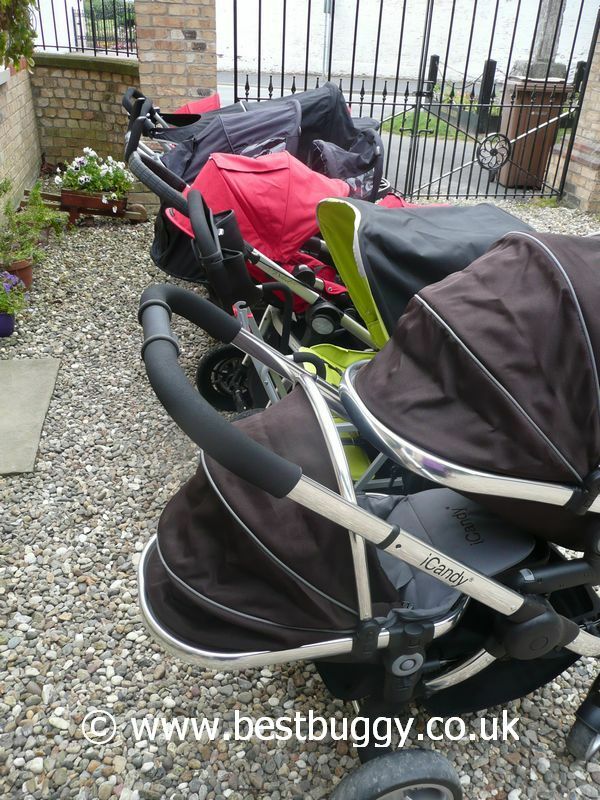 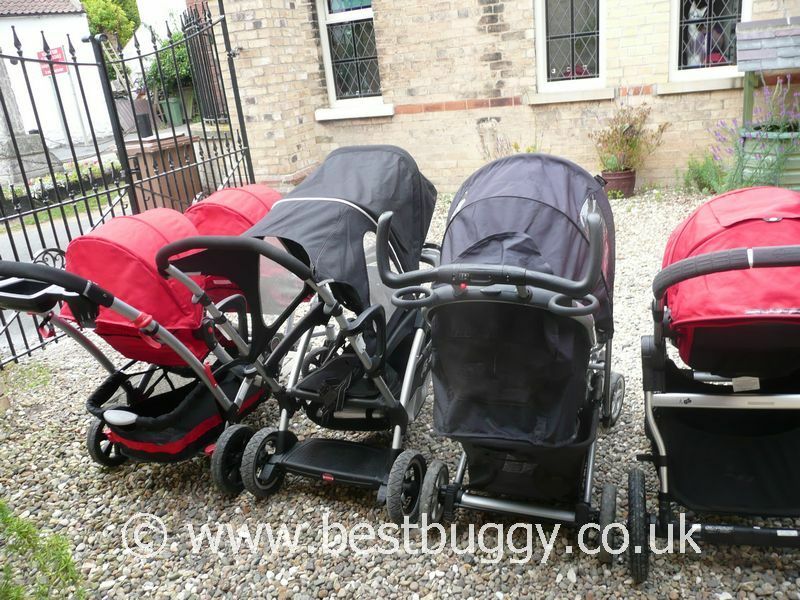 The pushchairs are lined up with the shortest to the left and the longest to the right. 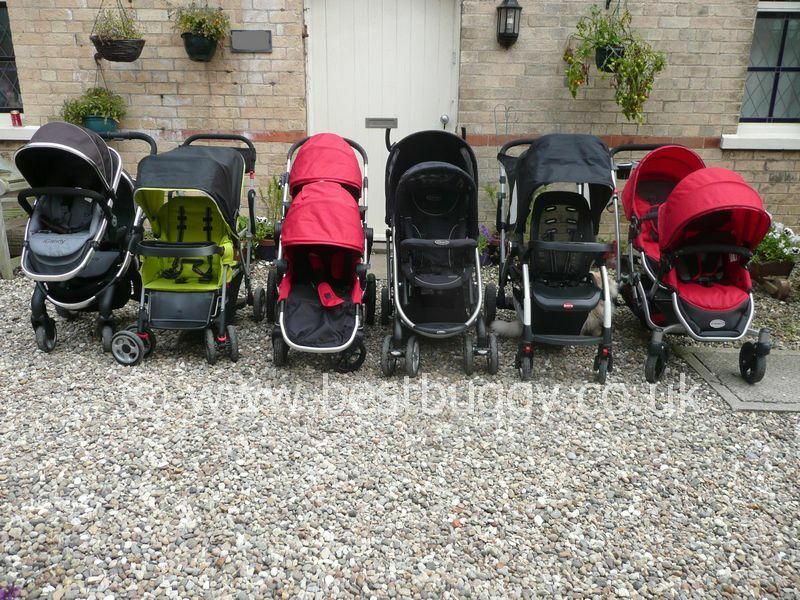 The Joovy Ergo Caboose has the longest chassis here, but the Kolcraft Contrours is longer with the seats added on.